have i ever mentioned that, in addition to an obsession with grasscloth (which has been the case since i was young - i'm not just jumping on board here), i also have a very large soft spot for wood paneling? totally obvious that i was a product of the 80s? yes, i think so. of course, if you're as talented as celerie kemble, you're bound to get it right. yup, she rocks. I've never seen a space she's done that I didn't love. The proportion and layers and perfect! She is very talented. Love the ceiling. Very cool. I think it works so well because everything else is super bright/white. She is very talented. Love the warmth with the wood paneling. If you like wood paneling, you'd love my grandparents house! Normally not a fan, but I do love it here! When eating lunch at a Thai food restaurant a few months ago, my husband had the idea to put up home-made wood paneling on one wall of our dining room. Which would mean replacing the grass cloth. What to do? What to do? 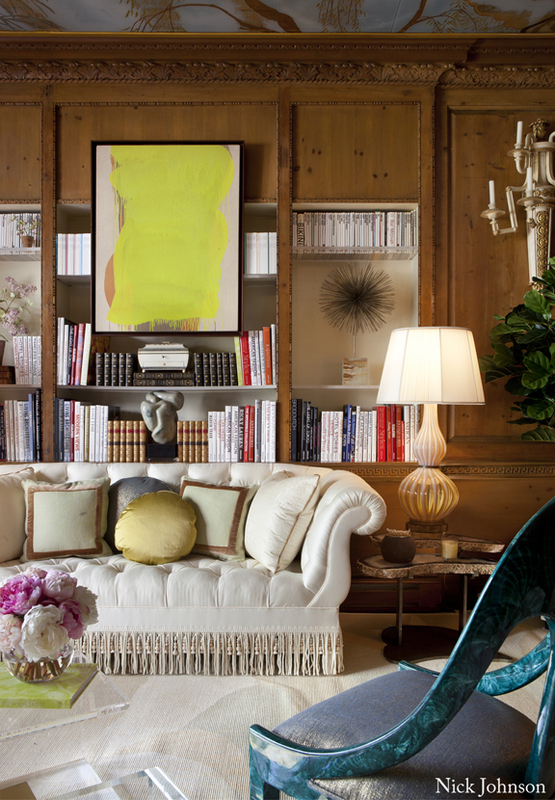 Well you know my eye is immediately drawn to the Lucite coffee table! 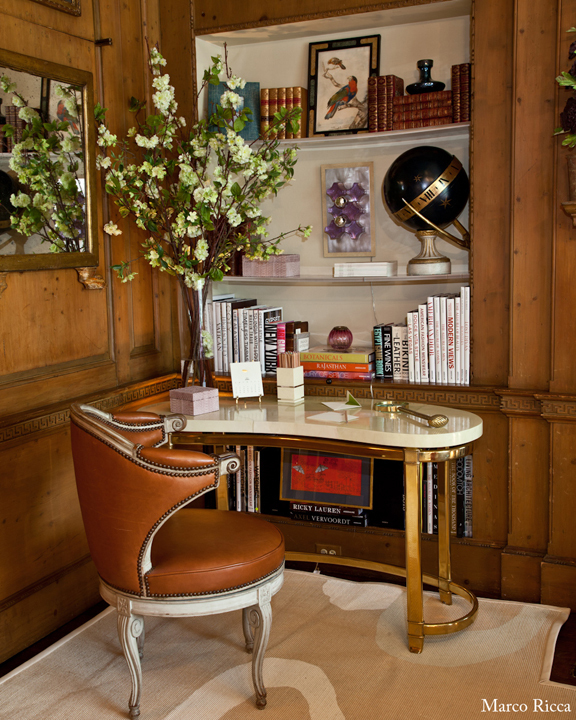 And the marble brass desk. I'm so predictable. Love Celerie's work! Just love every single thing about these images! PINNED! Fabulous! I do think the light rugs keep it from feeling dark and cavey up in there. But in her hands the wood walls are uber chic! 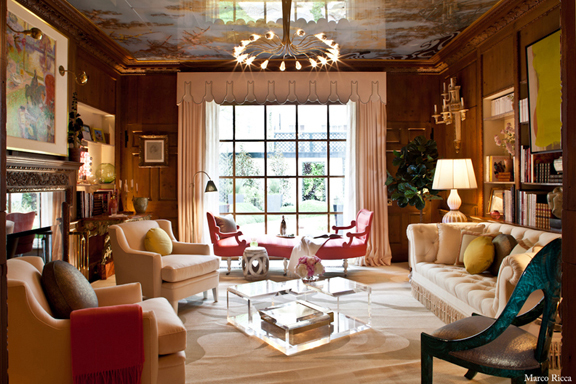 That beautiful window brings out the whole feel of the room so much more, it looks so warm!